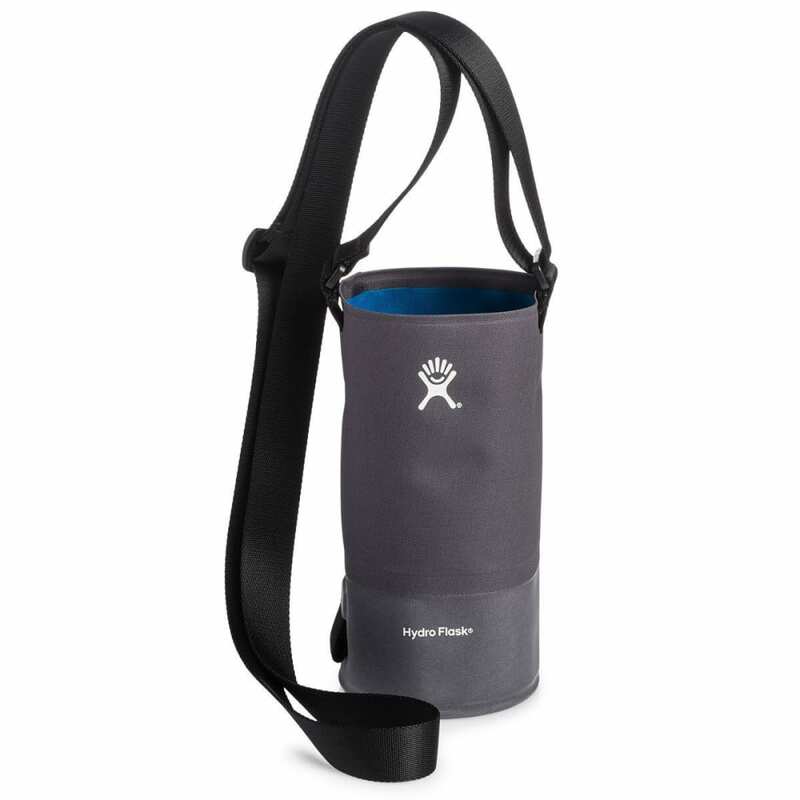 Bring along your favorite Hydro Flask bottle, and keep it close with this new easy-to-carry sling. Pop in your bottle, and spend the day with both hands free. Fully adjustable, stretch-woven, Sliplok shoulder strap: Fully adjustable, stretch-woven strap can be worn across the body or over the shoulder, making it easy to carry whether you're out for a hike or a sunset stroll. Stretch-woven and bonded side pocket with waterproof zipper for storing essentials: Essentials pocket features a watertight zipper for safely storing keys and other accessories.